Healthy gums are critical to both oral and overall health, as we’ve discussed previously so it’s not something you want to ignore. Regular check-ups with your dentist can help mitigate ongoing recession since it will likely be caught in its early stages. There are also treatments that can repair the gum and prevent further damage. Clinically, gum recession is the process where the borders of gum tissue surrounding the teeth pull back, exposing more of the tooth or even the tooth’s root. (This is where the “sensitivity” factor comes into play.) When gum recession occurs, “pockets,” or gaps, form between the teeth and gum line, making it easy for disease-causing bacteria to build up. Left untreated, the supporting tissue and bone structures of the teeth risk damage, eventually resulting in tooth loss. 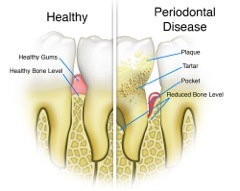 Periodontal Disease: Bacterial gum infections can destroy both gum tissue and the supporting bone holding teeth in place; periodontal disease is the primary cause of gum recession. Genetics: Some people may be more susceptible to gum disease. In fact, studies show that 30% of the population may be predisposed to gum disease, regardless of how well they care for their teeth. Forceful or Aggressive Tooth Brushing: If you brush your teeth too hard or the wrong way, it can cause the enamel on your teeth to wear away and your gums to recede. Poor Dental Care: Conversely, inadequate brushing and flossing allows plaque to turn into tartar, which can lead to gum recession. Good oral maintenance, including proper brushing, flossing and rinsing with an antiseptic mouthwash, twice daily. Maintaining a balanced diet with adequate amounts of protein, Omega-3 fatty acids and vitamin D.
Try using probiotics for two-three months to improve your digestive health. Try not to eat or drink anything for a couple of hours after lunch each day — this gives your teeth time to interact with undiluted, natural saliva, which helps protect your teeth’s enamel. The best way to help prevent gum recession is to regularly visit your dentist to monitor your oral health. If you have questions about gum recession or are concerned that you are looking “long in the tooth,” ask Dr. Meyers during your next visit. Dental Fillings: Which Material Is Right For You? Thanks to technological advances, dental patients today have several choices when it comes to selecting materials to fill cavities. They can choose between amalgam and composite fillings, which are often referred to as “silver” and “white,” respectively, or tooth-colored porcelain fillings. Amalgam fillings, while reliable and time-tested, are being used less frequently due to the fact that composite materials have improved tremendously. These “silver” fillings are really silver amalgams containing a mixture of silver-tin alloy, copper, and mercury. They have been used for 150 years and are inexpensive and not technique-sensitive. They can last for two decades or longer. The safety of the mercury in amalgam fillings is a question that has often been raised. Mercury is used in amalgam because it helps make the filling material pliable. When it is mixed with an alloy powder, it creates a compound that is soft enough to mix and press into the tooth. But it also hardens quickly and can withstand the forces of biting and chewing. Many studies on the safety of amalgam fillings have been done. In 2009, the U.S. Food and Drug Administration evaluated this research and found no reason to limit the use of amalgam. The FDA concluded that amalgam fillings are safe. 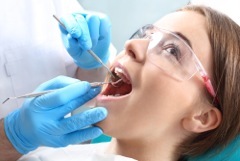 There are ongoing reviews evaluating the safety and effects of dental amalgams. The FDA does caution that if you are allergic or sensitive to mercury or any of the other components of amalgam, that you should choose another type of filling. The World Health Organization has recommended that dental amalgam be phased out as part of an effort to reduce human exposure to mercury. 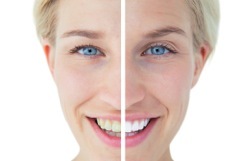 A composite filling is tooth-colored and therefore more esthetic, but the advantages are more than just cosmetic. Composite fillings are more conservative, meaning they can sometimes be placed with less tooth removal, according to the American Dental Association. They can also be used in smaller areas whereas an amalgam filling has a minimum size requirement. Additionally, composite fillings do not cause tooth staining over time. The ADA notes, however, that composite fillings tend to have a shorter life span and require a completely dry environment, which can be difficult in some patients with above average saliva output or sensitive gums that bleed. However, when composites are placed correctly, they can last just as long as amalgams. Composites can also be more expensive than amalgams and some insurance companies may cover composites only up to the price of an amalgam, and then require the patient to pay the difference. Porcelain is used for larger restorations when much of the tooth is missing. It is used for inlays, onlays (also called “partial crowns”) and full crowns. Porcelain combines beauty and strength, reinforcing teeth when traditional fillings are not an option. The all-porcelain solution requires less tooth removal than traditional porcelain fused to metal crowns and contains no metal. New ceramic materials are durable and less prone to breakage than older ceramic materials, according to the ADA. Inlays are restorations that are smaller than crowns or onlays, as they do not cover the biting surface of the tooth. Onlays partially cover the tooth and crowns conceal the entire tooth surface above the gum line. Many offices can now make these restorations in one visit, which is more convenient for the patient. If you are in the market for new fillings, speak with Dr. Meyers to discuss what option best fits your needs. There’s no denying the cost of a trip to the dentist can sometimes bust the budget, especially when the treatment involves intricate work like extractions, veneers and other cosmetic procedures. So, when an offer comes along promising “discount” dental treatment, wrapped into an exotic holiday, more and more Americans are considering making it a package deal, but often without thinking about the consequences. However, while it’s a practice that may definitely be cheaper in the short term, it’s also costing people dearly down the track. Southeast Asian countries, such as Thailand, Vietnam and the Philippines are all a part of a growing dental tourism industry. Patients Beyond Borders, a company that books travellers’ surgery holidays to Mexico, the Caribbean, Thailand and other exotic locales, said the growing popularity of ‘Dental Tourism’ often comes down to cost. For instance, being fixed with a set of clear braces in Southeast Asia is almost half the price it is here at home. The company claims that in order to avoid disaster, dental travellers should do their homework, only use internationally accredited practices and consider the hygiene and skill of the dentist. They say they recommend only approved surgeries which they have inspected, however the onus remains on the patient to do the research — despite living half a world away. It’s a risk, many dental practitioners — including Dr. Meyers — say isn’t worth it. In America, you’re guaranteed to be seen by a qualified professional, not to mention if something goes horribly wrong you’re covered by your insurance or Medicaid. And, dental practitioners in the States must, of course, speak English. If something goes wrong in a foreign country where English is not the first language, what happens next? Certain infectious diseases such as Hepatitis B and HIV may be contracted when proper preventive hygiene protocol is not followed. In America, dentists conform to stringent regulations ensuring patients are kept safe and not infected. The most comprehensive, complex and professionally challenging of procedures are often completed in stages. 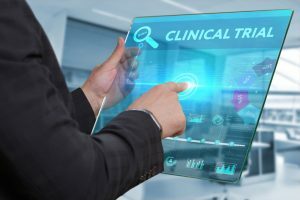 An initial part of the procedure is performed, allowed to heal, and then followed up with a second or even third stage of the process. During these overseas trips, many times, what would be multi-visit procedures in the US are conflated into single visit procedures. This single sitting instead of multiple treatments may actually be medically dangerous. There are many stories of ‘Dental Tourists” who have had to get botched procedures corrected here at home, with corrective surgery far more expensive than what they went overseas to get done in the first place. There are so many places in life where one can save money and cut corners. Your health should never be one of them. One could find oneself coming home looking worse that when one left, or potentially ill or physically harmed. 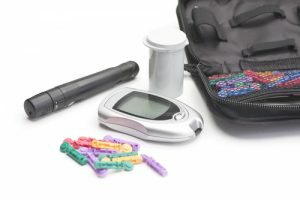 Consider too, that most dentists today have payment plans for more extensive and expensive treatments. We certainly would recommend discussing such a payment plan with your dentist, and taking your vacation separate from the dental work. How do our teeth compare with the teeth of our European ancestors in the Middle Ages? Surprisingly, our ancestors weren’t as backwards as we would think. How could that be? Those who lived in the Middle Ages lacked the greatest element that causes teeth decay: sugar! Sugar was very rarely used, and could be prohibitively expensive. Honey was occasionally a medieval cooking ingredient and naturally sweet fruit products were also eaten. As a consequence, those who lived in that time period had a diet that was actually better for their oral health in many ways than ours: low in sugar and high in grains, fruits and vegetables and calcium. We may also mistakenly think that these oldtimers didn’t use teeth cleaning products, because they had no access to commercial dental care products. But archaeological evidence indicates that our ancestors did manage to use homemade tooth powders and mouthwash, residue of which has been found on their dental surfaces as well as in ancient containers. We know through diaries and excavations what some of these potions contained. Sage, charcoal and pepper were popular ingredients. The greatest risk to Middle Age teeth, then, was not diet. It was actually damage. Food was “heartier” in the bad sense. It was grittier, meat was tougher, bread was denser. Chewing on these items caused more extensive wear and abrasion on the enamel and even tooth loss. 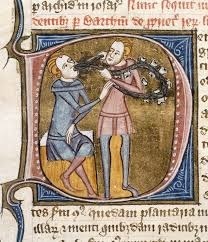 What was clearly inferior in the Middle Ages was the practice of dentistry. It was primitive at best, fatal at worst. In the end, the actual physical evidence of Middle Age teeth tells us the whole story. There was lower incidence of cavities but higher examples of worn enamel. Our ancestors appreciated clean, white teeth, they did the best they could with the knowledge they had, but their teeth were also subject to certain environmental stressors that we can avoid now. We thought our readers would be interested in the story of a dentist made famous by a young girl. 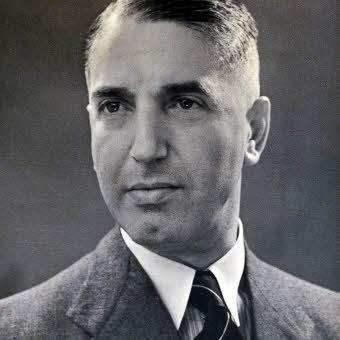 That dentist, Dr. Friedrich “Fritz” Pfeffer, was Anne Frank’s roommate, her dentist, and her sometimes nemesis. Unfortunately, our knowledge of Fritz has been sullied somewhat by Anne’s resentment of him. The truth is that Anne didn’t like sharing such a small space with a strange man. In her diary, Anne calls Fritz by the alias “Dussel”, which means fool. Anne never seemed to understand Fritz. She never seemed to know about his family or his struggles. But Fritz was indeed a heroic man who lived through impossible circumstances, and who died, like Anne, far too early. Fritz Peffer was born in Giessen, Germany. He went to school to become a dentist and a jaw surgeon. He served the German Army during World War I, like many other German Jews. These Jews were proud of their German-ness and truly never could wrap their heads around the fascism of Adolf Hitler and their rejection as loyal citizens of Germany. As a young man, Fritz was athletic and social. He rowed with the Undine rowing club (a Jewish club), he rode horses and he traveled extensively in Europe. Pfeffer was briefly married and had one son, Werner, but he later divorced from Werner’s mother, Vera. Fritz retained custody of young Werner. Fritz then met Charlotte Kaletta, who came to him as a dental patient in 1936. They began to date and later they were engaged. Charlotte was not Jewish. As a result, the couple was unable to marry, because Germany’s Nuremberg Laws forbade marriages between Jews and non-Jews. Fritz could not ply his trade publicly as a dentist in Germany after the Nuremberg Laws, but he managed to moonlight a little secretly and take in a bit of money. The situation in Germany continued to deteriorate and after Kristallnacht in November of 1939 (the Night of Broken Glass), Fritz and Kaletta managed to leave Germany and flee to Holland. Before Pfeffer left Germany, he arranged for his young son Werner to be on a Kindertransport (a program where Jewish children could be sent to England to stay with families there, ostensibly to keep them safe during the war). Werner was sent to England, a move which saved Werner’s life. The Frank family had been in Holland since 1933, as they had moved from Frankfurt, Germany. In Amsterdam, these expatriates (Otto Frank and his wife Edith, Fritz Pfeffer and Charlotte Kaletta) became friends. Pfeffer told his friends that after the war, he hoped to move with Charlotte to South America, where they would send for Werner, reunite and be free to marry and start a new life. The Nazis invaded Holland in May of 1940. At this point, Pfeffer was forced to hide in order to save his life, and so he moved in with the Frank family of four (Otto, Edith and daughters Anne and Margot) along with the Van Pels family of three (Hermann Pels, his wife Auguste and son Peter). Pfeffer arrived at the annex with some money from Kaletta, along with his dental instruments. While in the annex, he convinced the inhabitants that they needed to take care of their teeth for their health and in order to be able to withstand being in such close proximity. He regularly checked the inhabitants’ teeth and tried to maintain good oral health for the annex inhabitants. The group of eight managed to hide out for 2 years (Pfeffer just for 18 months) until they were discovered by the Nazis in August of 1944. All the inhabitants of the annex were deported first to Westerbork, and then to other concentration camps including Auschwitz. Pfeffer was deported from Auschwitz to Neuengamme, a concentration camp in Germany where he died in December of 1944. Of the eight people who lived in the annex, only Otto Frank survived. He was instrumental in the publication of his daughter’s diary. Yom HaShoah, the day to remember victims of the Holocaust, begins on Wednesday evening. Each of the people who died had a story. Now you know the story of Fritz Pfeffer, Anne Frank’s roommate and dentist. Presidents’ Day is a great time to think again about…George Washington’s teeth. It’s amazing how much George Washington’s dental troubles impacted his life, and unbelievably the life of the nation. It’s a reminder that dental issues can affect us all, famous and not so famous. · Washington did have terrible trouble with his teeth, which resulted in his need for dentures. 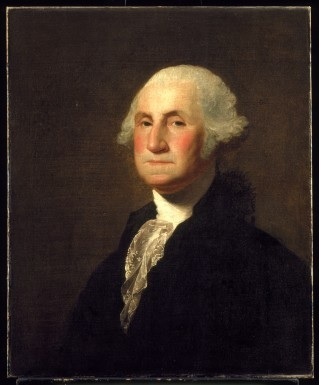 · Washington was embarrassed about his dental troubles and he kept the issue secret. However, his confidential correspondence with a dentist was intercepted by British spies during the Revolutionary War and actually changed the course of history. Washington noted in a letter to his Philadelphia dentist that he wouldn’t make it back to Philadelphia, so he wanted the dentist to send him a dental scraper in New York. The British believed from this “dental intelligence” that Washington was not heading to Yorktown (which he was). So, Washington’s teeth hastened the end of the war and Cornwallis’ surrender at Yorktown. · By the time of Washington’s inauguration, he only had one natural tooth. · Washington’s dentures were not made of wood; that is a myth. They were an amalgamation of material from his teeth that were previously pulled, possibly the teeth of African-American slaves (we know he purchased 9 teeth) and other materials that were used at the time like animal bones, and metal objects. · Just because Washington’s false teeth weren’t made of wood didn’t mean that they were a great match. Washington complained bitterly about his dentures; they were poor fitting and the technology just didn’t seem to exist to help him. Modern dentists believe that the most famous painting of Washington (Gilbert Stuart’s shown above) is evidence of how poor his dentures were. They clearly push out his upper lip, and maybe his lower lip, as well. · Washington was known to be somewhat reticent socially. Looking back, he may have been embarrassed about his appearance and reluctant to speak in public because of his ill-fitting dentures. You can check out all of this information and more at the Mt. Vernon website, Washington’s home just outside Washington, D.C. Mt. Vernon is also a fabulous location to tour, a lovely Virginia estate on the shores of the Potomac River with beautiful vistas, gardens, outbuildings and terrific tour guides.